The design of the Palisade has aerodynamic benefits as well, with a 0.33 coefficient of drag (Cd). 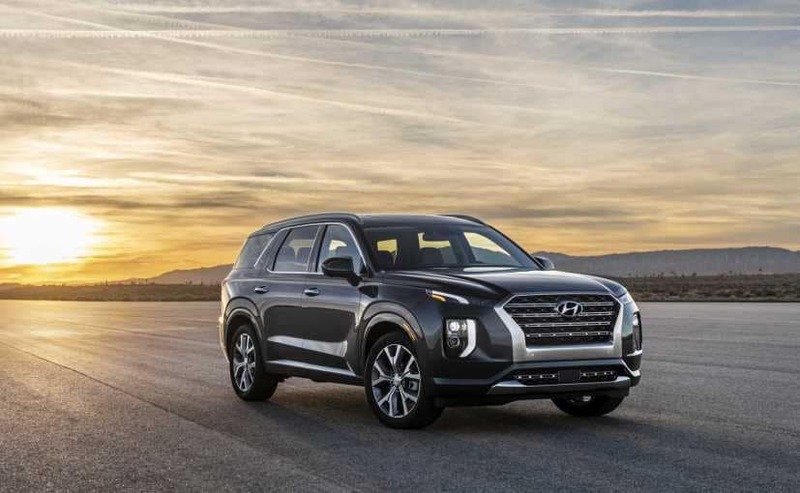 Hyundai's new flagship premium three-row Palisade SUV made its global debut at the Los Angeles Auto Show. 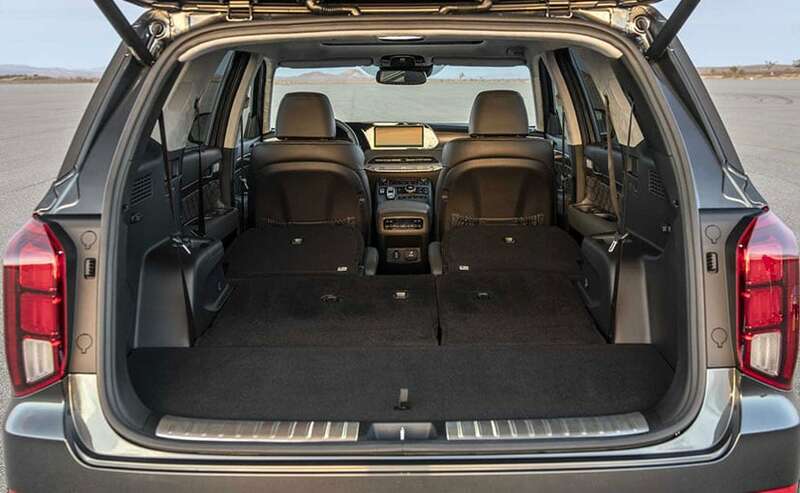 The 2020 Palisade rides on an all-new SUV chassis and the company says that there's ample room in the second- and third-row along with good space for cargo too. The Palisade will be produced in Ulsan, Korea and will be launched officially next year. The Palisade gets a dominant, bold front with a wide cascading grille which gives it a premium look. The separated composite headlamps and a vertically-connected forward lighting signature give it a distinctive look. The Palisade comes with LED headlights, LED daytime running lights and LED turn-signal mirrors. At the rear is a vertical LED rear taillamp design. The Palisade will be available in oversized 20-inch alloy wheels. The design of the Palisade has aerodynamic benefits as well, with a 0.33 coefficient of drag (Cd). Palisade achieves this low drag coefficient with specific design cues that include a fast A-pillar angle, a rear spoiler side garnish, an optimized front cooling area with an extended internal air guide, aero underside panels, and rear wheel aero deflectors. 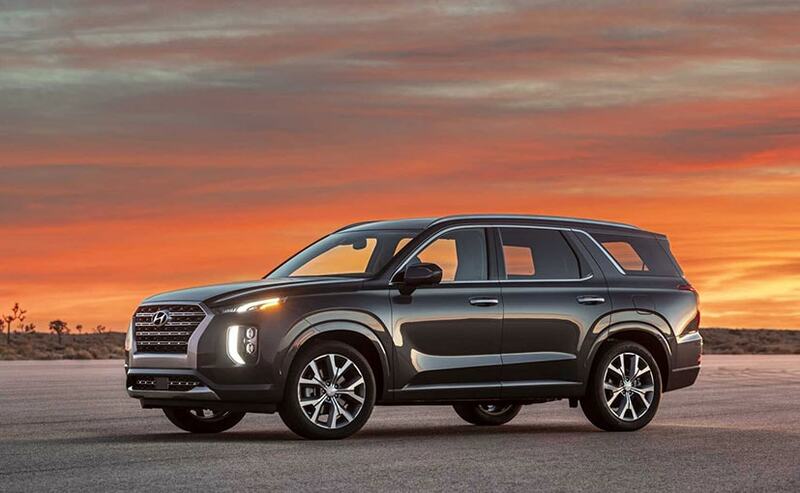 SangYup Lee, head of Hyundai's Design Centre said, "Hyundai Palisade's exterior and interior design clearly reflect its unique flagship identity with a premium, distinctive and bold road presence. As the lead for Palisade design, it was a pleasure to work with our global design teams throughout its development and ultimately present this phenomenal product before you today." 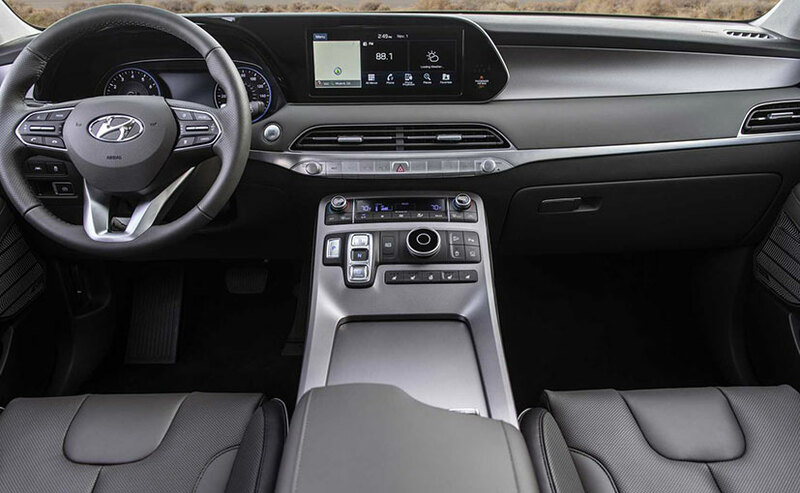 The cabin comes equipped with quilted Nappa leather, while on the instrument panel you get a smooth woodgrain trim in a wraparound interior design. The second row seat allows for one-touch operation of the seat forward and out of the way for easy access in and out of the third-row seat. For more convenience, the third row offers power-folding/unfolding and reclining seats. Second-row captain's chairs are also available with ventilated seating surfaces. There are a total of seven USB ports available in the Palisade for the convenience of the customers. Palisade also offers a Blind View Monitor that complements the standard Blind Spot Collision Avoidance Assist, which provides easy-to-see body-side views whenever the turn signal is activated. The audio and navigation display is a 10.25 inch touchscreen in widescreen format, coupled with a 12.3-inch fully-digital TFT centre instrument cluster. Two Bluetooth devices can be connected simultaneously, with one for a mobile phone connection and the other for audio streaming. There are 16 cupholders on offer as well. Palisade also features an industry-first, roof vent diffuser design that can provide a focused, partially-diffused or fully-diffused stream of air to rear passengers. This new diffuser vent design provides quieter rear air conditioning airflow, draft-free operation, more uniform distribution of air and the capability for a focused stream of air whenever desired. The Palisade receives Hyundai's latest navigation system with Android Auto and Apple CarPlay. To eliminate the need for a charging cord, there's an available Qi wireless charging pad for compatible Android devices as well as recent Apple iPhones. The Palisade comes powered by an Atkinson-cycle 3.8-litre V6, dual CVVT, direct-injected engine which delivers 291 horsepower while there's 394 Nm of torque on offer. As far as safety features are concerned, the Palisade offers a number of advanced safety technologies standard, including Forward Collision-Avoidance Assist with Pedestrian Detection, Blind Spot Collision-Avoidance Assist, Lane Following Assist, Rear Cross-Traffic Collision Avoidance Assist, Safe Exit Assist, High Beam Assist, Driver Attention Warning and Smart Cruise Control with Stop and Go. drivers the ability to start the vehicle via remote key fob or via the Blue Link app. In addition, Palisade has seven standard airbags: dual front, dual side, driver's knee, and roll-over-sensing side curtain airbags. Palisade uses a full-length large side curtain airbag that includes third-row seating coverage for enhanced rear occupant protection in the event of a collision. 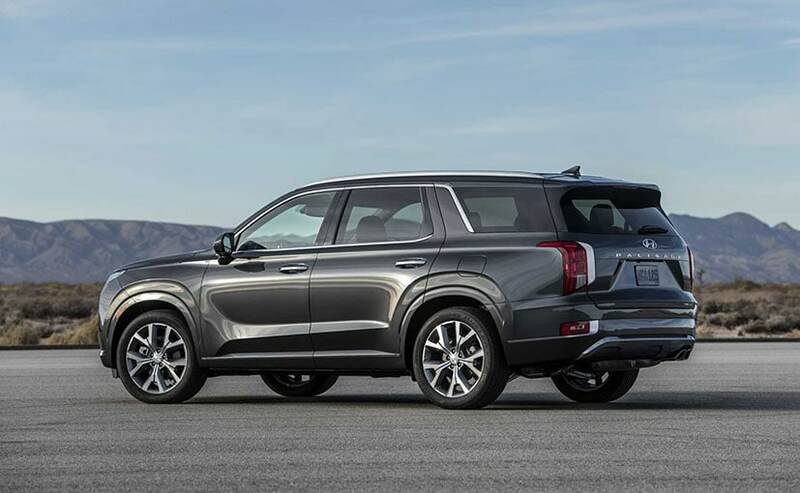 Tire pressure monitoring with individual position display, anti-theft security, three LATCH anchors in the second row and two LATCH anchors in the third row and a rearview camera are also standard on Palisade.